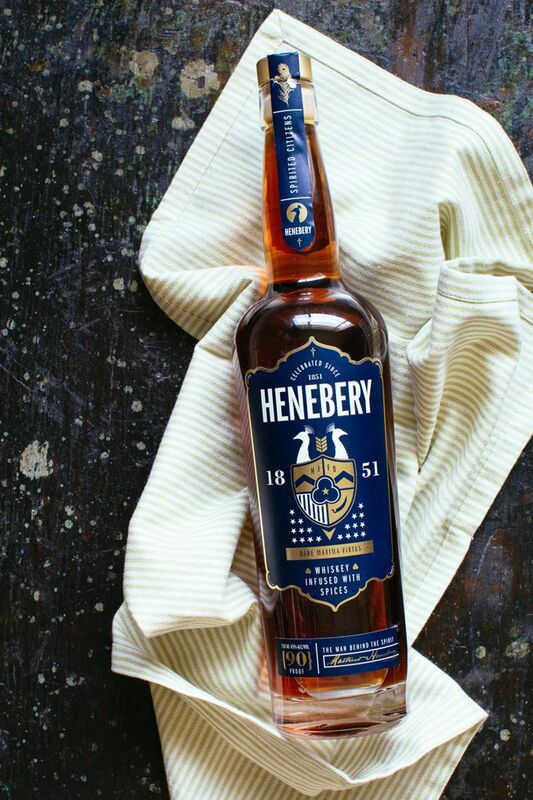 SKILLET SODA BREAD RECIPE - Henebery Spirits, INC. So far in 2016, I’ve been all about making bread at home. It’s so simple and so gratifying. First up, I’m sharing this Skillet Soda Bread recipe, and in several weeks, I’m posting a recipe for the BEST overnight, no-knead bread. YUM!!! Soda bread, Irish or otherwise, is a perfect introduction to home bread-making, because minimal time and effort are required to produce a golden, aromatic loaf of bread. No special equipment is needed here as well, and most ingredients can be found in the pantry. 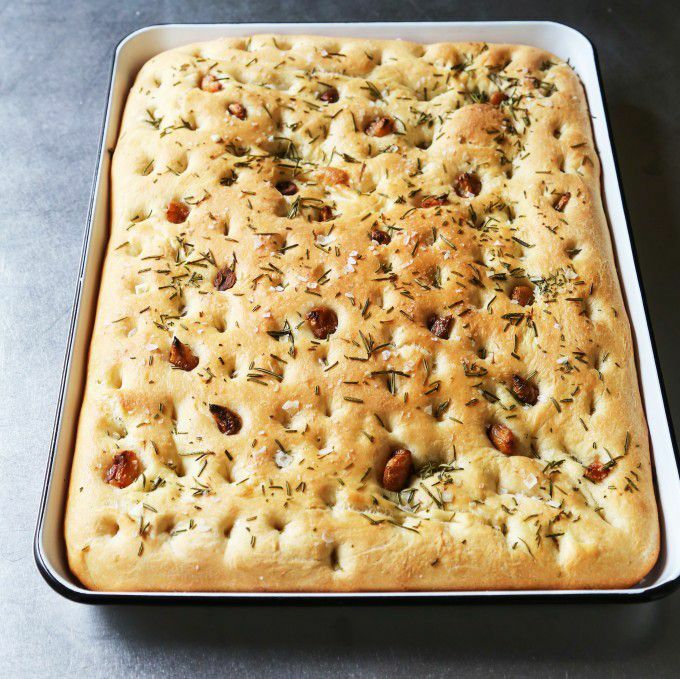 One can’t help but smile as the burnished beauty emerges from the hot oven, filling the kitchen with the smell of freshly baked bread. Irish soda bread in its simplest form is a mixture of flour, baking soda, buttermilk and salt. 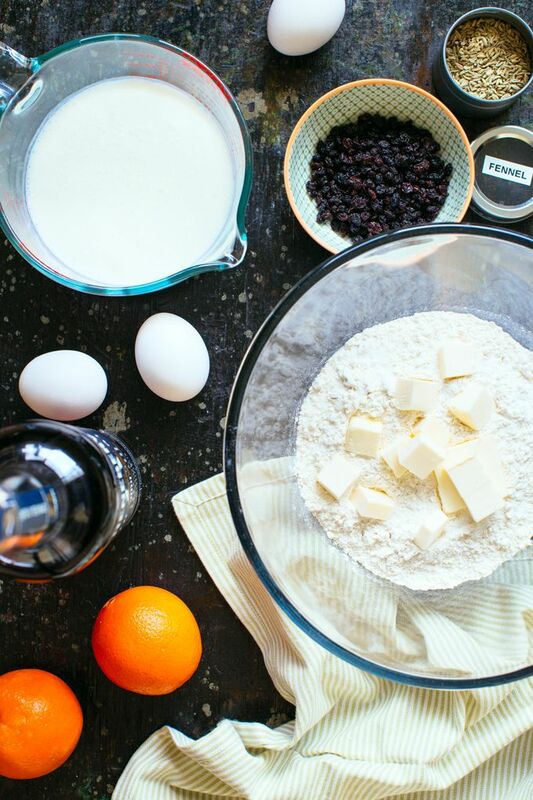 In this recipe, flavors are amped up with the addition of orange zest, fennel seeds and a heap of dried currants plumped with amber whiskey. Local Henebery rye whiskey was used here, but any whiskey would work (especially Irish whiskey!). This recipe is definitely not traditional, but it sure is tasty. Continue reading for the recipe. Enjoy this soda bread simply with salted butter or pair with sliced apples and Irish cheddar. 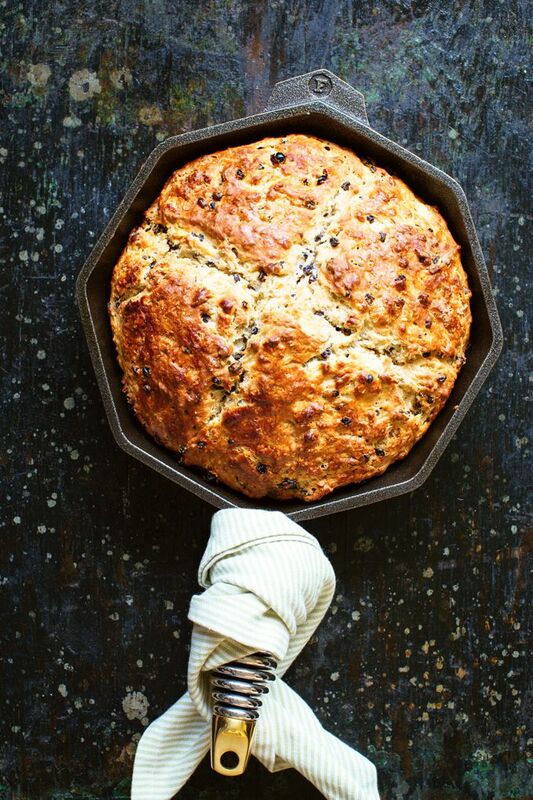 Skillet Soda Bread would also be a welcomed addition to any St. Patrick’s Day feast. Place currants in a small bowl with the whiskey, and let sit for 1 hour, stirring occasionally. Lightly grease an 10-inch cast iron skillet with butter. In a large bowl, whisk together 4 cups flour, sugar, baking soda and sea salt. Using your fingertips, work 4 tablespoons cubed butter into the dry ingredients until the mixture resembles coarse crumbs. 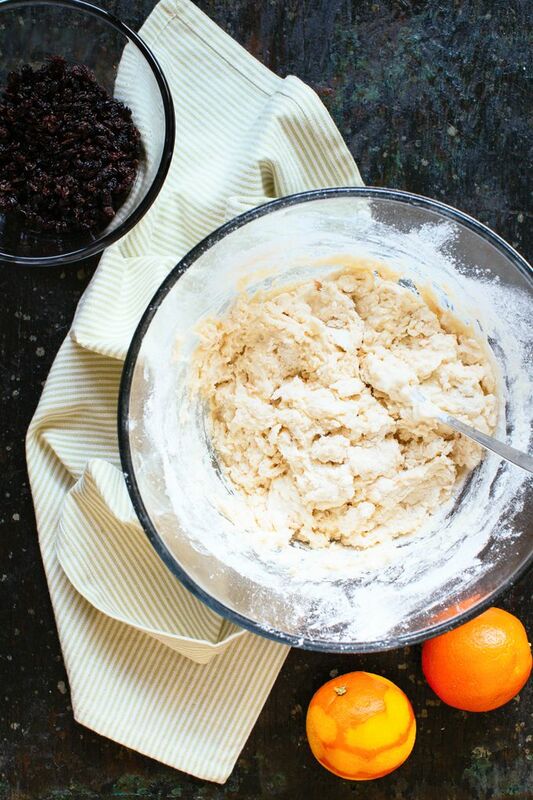 In a medium bowl, whisk together buttermilk, egg and orange zest. 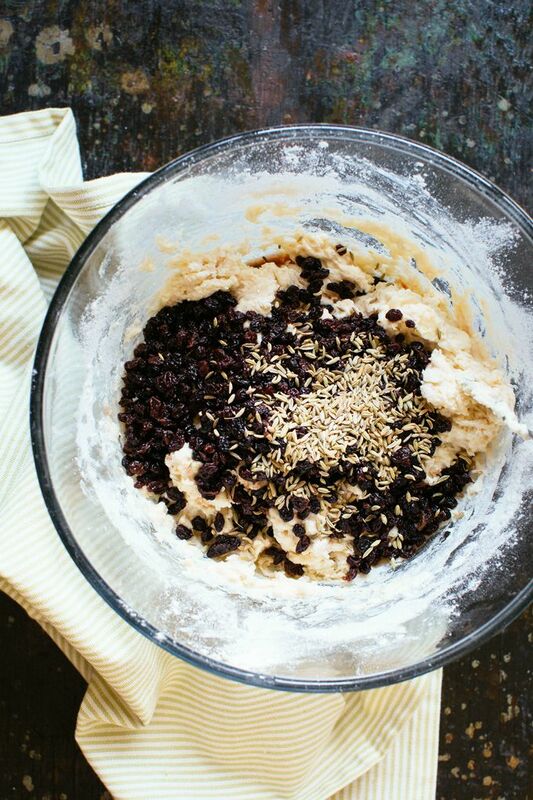 Pour wet ingredients into dry ingredients, and stir just until combined. Don’t overmix here. Stir in the currants with whiskey and fennel seeds. Preheat an oven to 400°F, and place a rack in the middle position. Scrape dough out onto a floured work surface. The dough will be wet. Sprinkle dough with flour and knead a couple times to form a round loaf, adding more flour as needed if the dough sticks. Place the loaf in the prepared skillet, then, using a sharp knife, score top of dough about an inch and a half deep in an "X" shape. Brush the top of the loaf with buttermilk. Bake until the top of the bread is golden brown, and a skewer inserted into the center of the bread comes out clean (40 – 45 minutes). Transfer the loaf to a cooling rack, and let rest for 10 minutes before serving.